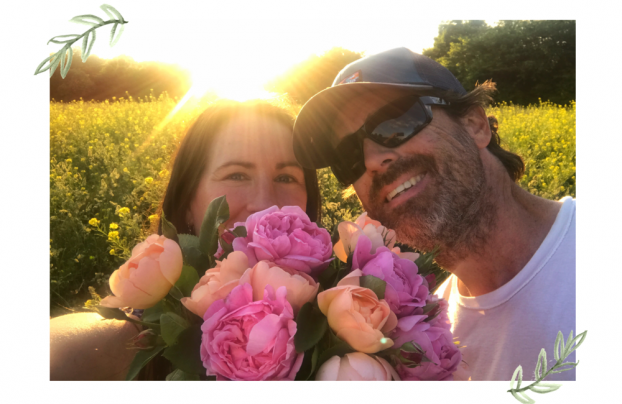 Jenn and Adam O’Neal of PepperHarrow Farm just announced their first extended Flower Farmer Workshop — and I’ll be there! 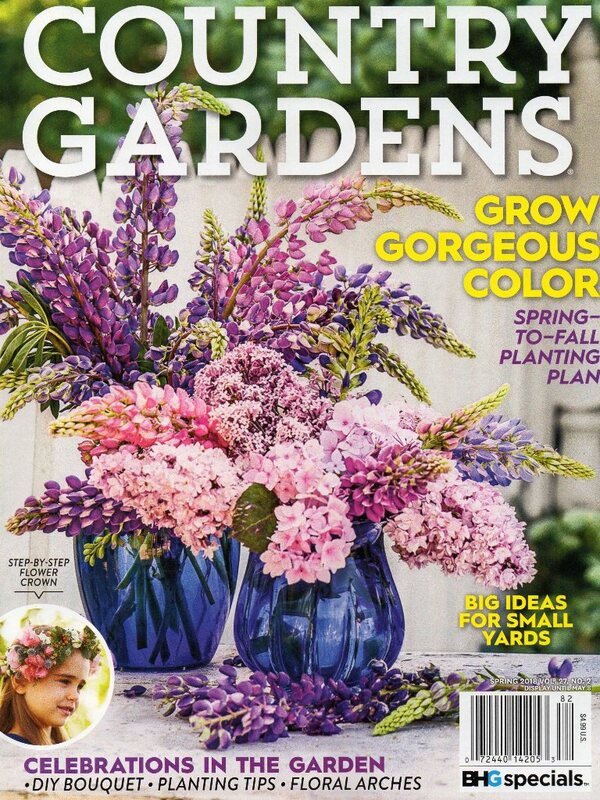 PepperHarrow’s farm, flowers and wedding design techniques are featured in this month’s Country Gardens. Before I introduce you to today’s featured guest, floral designer Carrie Wilcox, I want to share a short audio recording with Jenn and Adam O’Neal of PepperHarrow Farm, based in Winterset, Iowa. 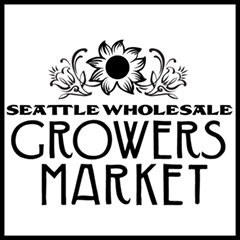 We are reuniting this coming September because Jenn and Adam have invited me to join their Flower Farmer Workshop on Saturday, September 8 and Sunday, September 9. 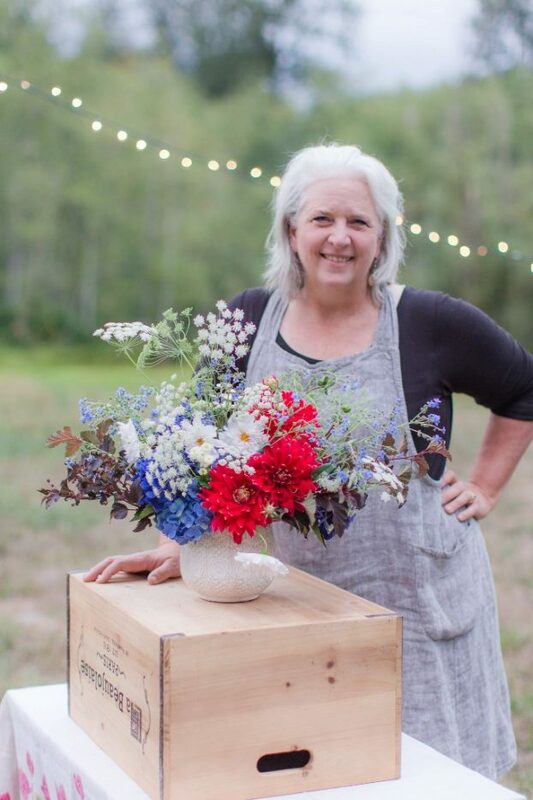 Check out all the details here — and please join us for two days focused on flower farming, floral design and creative writing to share your stories. 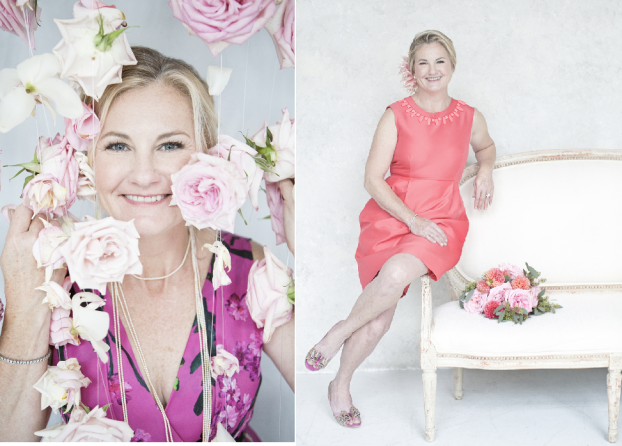 A love for flowers infuses Carrie Wilcox’s bubbly personality! Carrie Wilcox is the owner of Carrie Wilcox Floral Design based in Fairfield, Connecticut. 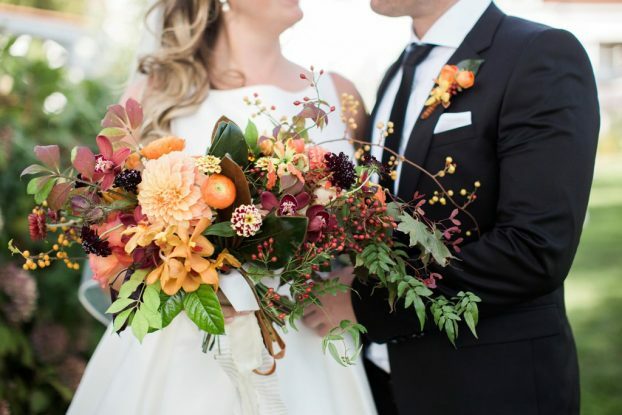 Carrie has been a designer with several flower shops as well as some of the most highly regarded floral and event studios. 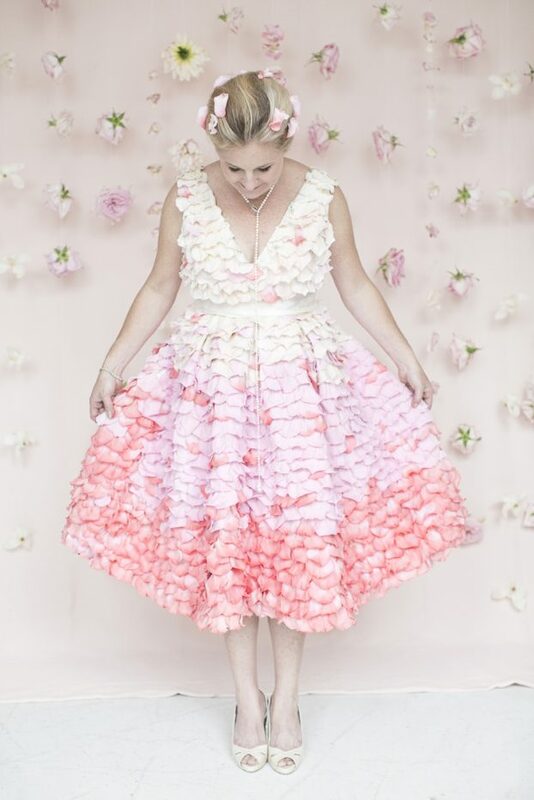 In 2012, she earned the European Masters Certification after studying in Bruges, Belgium, and is currently a candidate for the A.I.F.D. designation. Carrie also enjoys entering floral design competitions all over the United States. 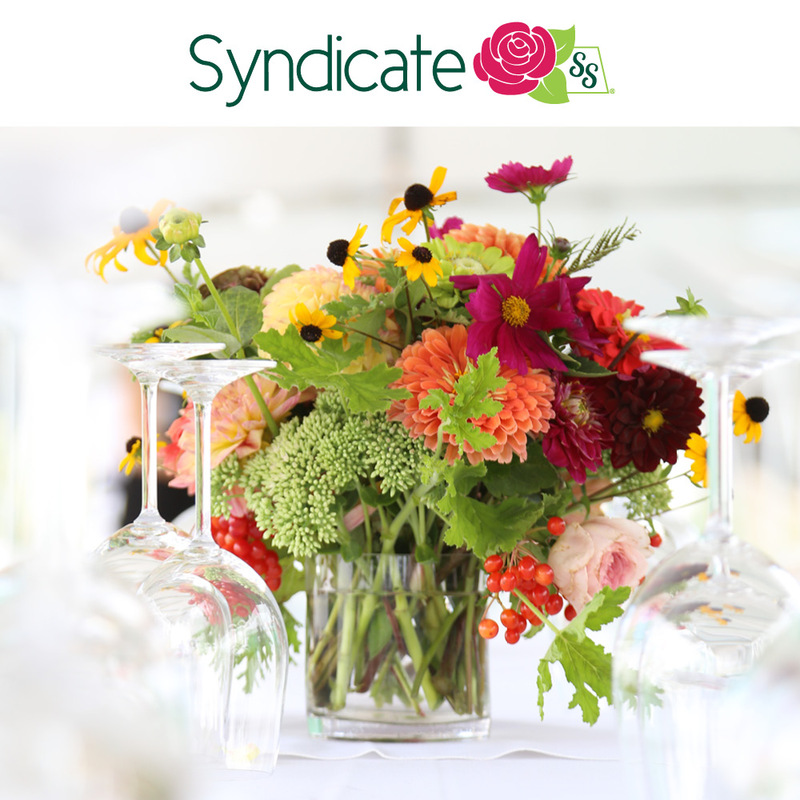 She writes: “For me, flowers are the most simple but expressive things in life. 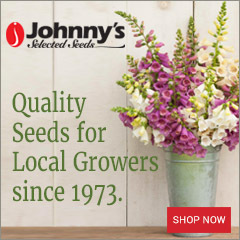 They share in your happiness during festive times and console you in moments of sorrow. Some of my most special memories are punctuated with flowers. Memories of my grandmother and I picking flowers from her garden to use on the dinner table and the frilly and fragrant lily of the valley from my bridal bouquet when I married the man of my dreams. 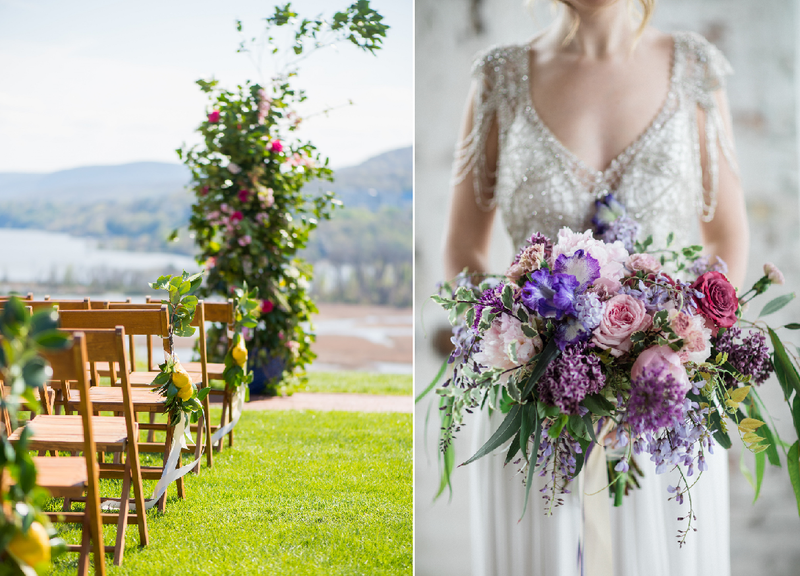 Inspiring wedding design by Connecticut-based Carrie Wilcox. 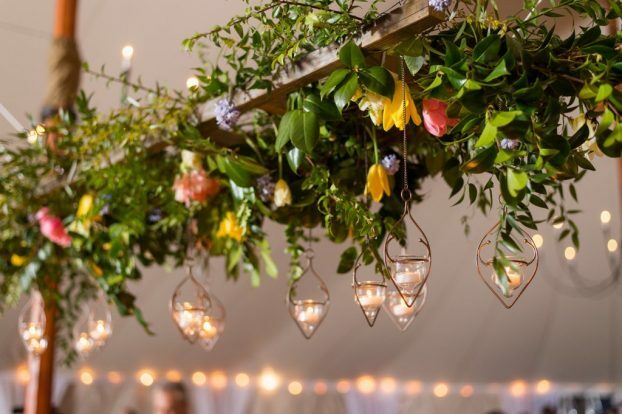 Love this ceiling installation by Carrie, featuring greenery, tulips and votives. Truly seasonal, dahlias and their companions for a late-summer wedding by Carrie Wilcox. 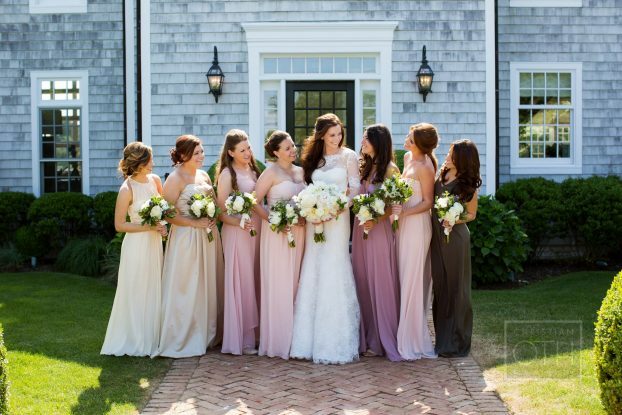 You can find and follow Carrie Wilcox on Instagram here. Here is the link to Hanah Silk, a favorite source of Carrie’s for USA-made source for custom-dyed velvet ribbons. Muddy Feet Flower Farm, one of Carrie’s favorite sources for local flowers. Thanks so much for joining me today. 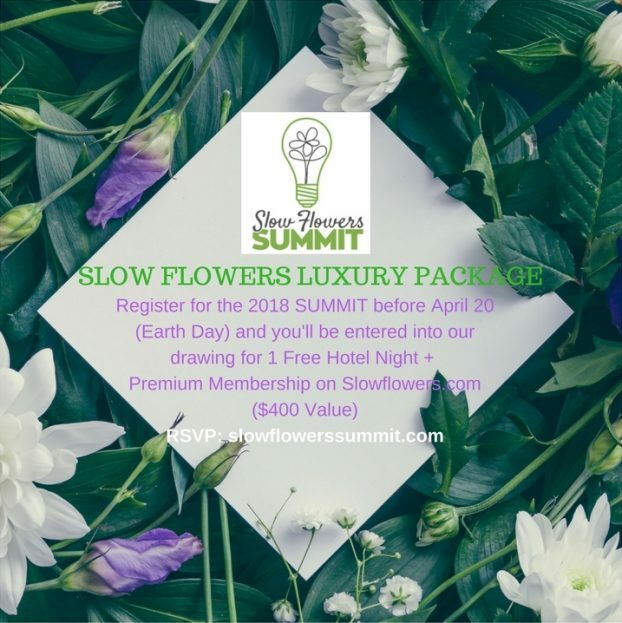 The Slow Flowers Luxury Package promotion continues now through April 22nd — Earth Day. If you register for the upcoming Slow Flowers Summit conference by that date, you’ll be entered into a random drawing to receive a $400 gift package. 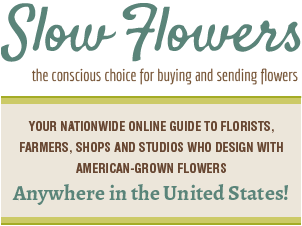 The Slow Flowers Podcast has been downloaded more than 303,500 times by listeners like you. Thank you for downloading, listening, commenting and sharing — it means so much. 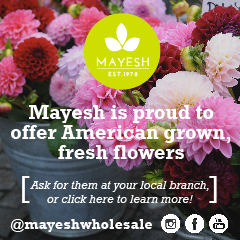 And thank you to Mayesh Wholesale for recently listing the Slow Flowers Podcast in its blog post: “The Floral Podcasts You Should be Listening to Right Now.” We’re included in some great company. 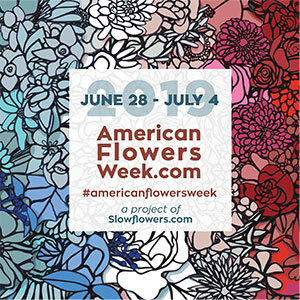 As the Slow Flowers Movement gains more supporters and more passionate participants who believe in the importance of the American cut flower industry, the momentum is contagious. I know you feel it, too. I value your support and invite you to show your thanks and with a donation to support my ongoing advocacy, education and outreach activities. 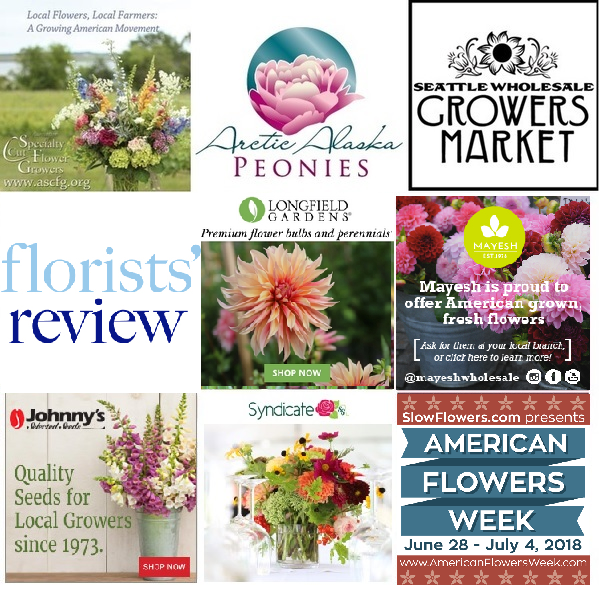 And thank you to our lead sponsor for 2018, Florists’ Review magazine. I’m delighted to serve as Contributing Editor for the new Slow Flowers Journal, found in the pages of Florists’ Review. 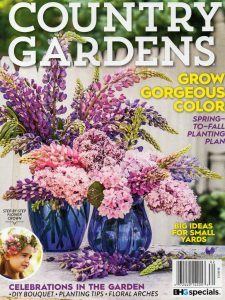 It’s the leading trade magazine in the floral industry and the only independent periodical for the retail, wholesale and supplier market. 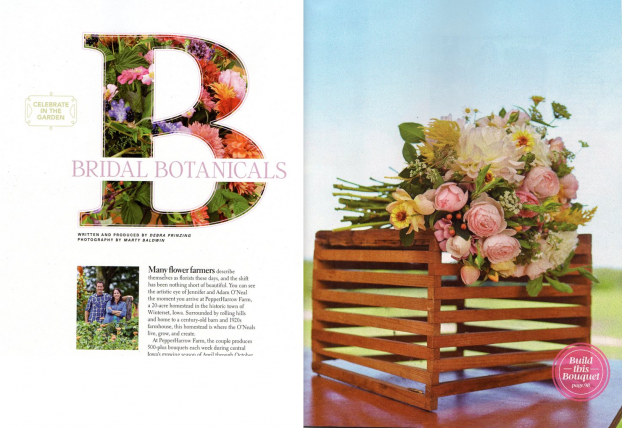 Take advantage of the special subscription offer for members of the Slow Flowers Community. 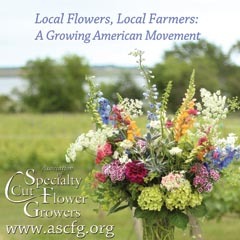 This entry was posted on Wednesday, April 11th, 2018 at 8:08 am	and is filed under American Grown, Blog Posts, Creativity, Entertainment, floral design, Flower Farming, Gardening, General, Plants, Podcast Episodes, SLOW FLOWERS Podcast, Slowflowers.com the Directory of American Flowers, Writing. You can follow any responses to this entry through the RSS 2.0 feed. You can leave a response, or trackback from your own site. Debra, Episode #344 was one of favorites!!!! I LOVE Carrie Wilcox. the pictures you posted in your notes perfectly frame her personality and wide range of expertise. This women does so much! and is such a great inspiration to others in the industry. A true free spirit and interesting guest on your program.